One of the side effects of my chemo is that my right tear duct was irreparably scarred thereby making that eye “water” all the time. Because of this annoying condition, which often prompts total strangers to ask me if I’m OK when they see me “crying” in public places, I’m probably more fascinated with tears than the average person. We all have three different kinds of tears: normal tears that continuously keep our eyes lubricated; irritant tears that wash away foreign substances; and emotional tears we cry for reasons like sadness and pain. Scientists who study tears can look at these tiny drops of water and tell the difference between the first two types and the third kind, because emotional tears have much more protein and less oil. Every tear has three layers, each of which has a different purpose. The inner layer coats the cornea; the middle layer, which is almost all water, provides moisture and oxygen to the cornea; and the outer layer is an oily film that seals the tears on our eyes and slows evaporation. Isn’t it amazing how much intricacy went into the creation of tiny tears by our Creator! Jesus was standing at the grave of his friend Lazarus surrounded by Lazarus’s weeping sisters and other wailing friends and He, too, began to cry. He could have announced: “Everything’s going to be okay!” After all, Jesus knew He was about to raise Lazarus back to life. He could have said: “Don’t worry, be happy! ” After all, He knew that in moments their sorrow would be turned to joy. But He didn’t. Instead, He wept. 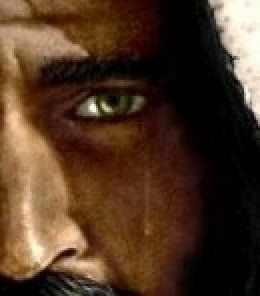 I certainly don’t assume to definitely know all the reasons why Jesus wept, but I think He wanted those present to know He felt their sadness, too, and I believe He wanted those of us reading this account one day to know He thinks it’s all right to cry. Many of us (especially men!) need to tell ourselves that truth: that weeping is not a sign of weakness or shame; that tears are indeed a gift from God to express our deepest feelings. Can you imagine all the tears you’ve ever cried in your life? The ones when kids made fun of you on the playground and when you skinned your knee in the backyard. Don’t forget the ones when your pet died and when your first love broke your heart. Think about the tears you shed when you had your first car accident and when you didn’t have enough money to pay the bills. Remember the tears when you heard the diagnosis and those you shed when someone who was treated with you “lost” the battle? Don’t forget those you let slip in the shower so you could wash them away before anyone could see. But someone did see. The same One who created the complexity of tears, saw—and remembers—every one of yours. 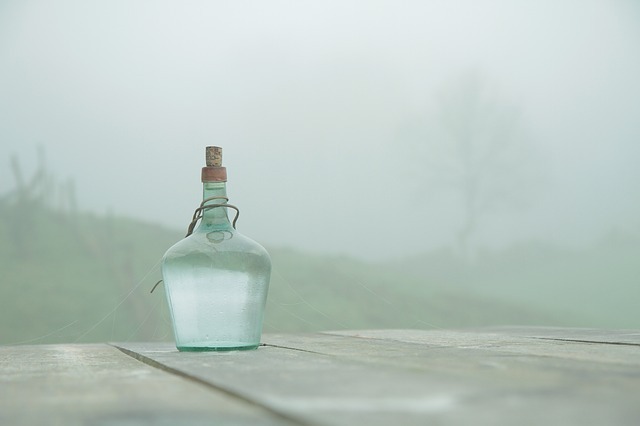 I imagine some of us must have some pretty big bottles to store all our tears! But why does God keep and record these little salty drops? I love the explanation given by author Joni Eareckson Tada, who has been confined to a wheelchair since a 1967 diving accident left her paralyzed from the neck down. “Every tear you’ve cried will be redeemed. God will give you indescribable glory for your grief, not with a general wave of the hand, but in a considered and specific way. Each tear has been listed; each will be recompensed. I look forward to that day when God will wipe away the tears from my watery right eye and show me how He has turned all my sadness into greatness for His kingdom. And until that time, I’m glad I’m not a mermaid so I my tears can soften my suffering. [i]Joni Eareckson Tada, “A List of Tears” in More Precious Than Silver(Grand Rapids: Zondervan, 1998), April 24. Thanks to Joni for encouraging me and other readers of this devotional to consider the many reasons we’ve shed tears over the years.